UN Under-Secretary-General Achim Steiner gave a talk at an environment protection conference in Bali describing a growing problem among developing nations: e-waste. While places like China and India already have their own problems with informal e-waste recycling, the UN expects to see the same intractable problems surface in Africa and Latin America while levels of trash will double or triple in already problem-plagued countries. What does this mean? 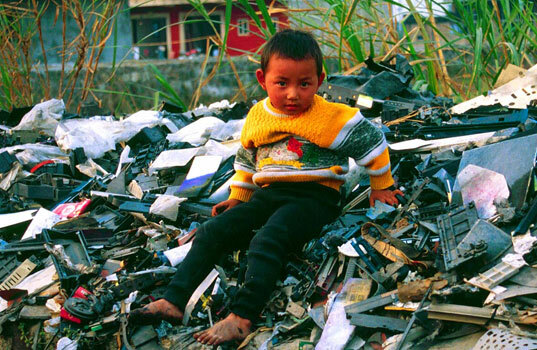 Generally it means that entire swathes of the developing world will soon become e-waste producers and recyclers. As folks in developing counties begin buying computers, TVs, and fridges the e-waste problem is compounded by population and horrible recycling techniques and the refusal by organizations like the CEA to back forced recycling programs in already developed areas. These countries will soon be buried in e-waste and informal recycling techniques, including dropping PCBs into heaters to release the gold and other rare metals, create massive problems for the recyclers and nearby homes. It is, in short, a mess. Countries like Senegal and Uganda can expect e-waste flows from PCs alone to increase 4 to 8-fold by 2020. Given the infrastructure expense and technology skills required to create proper facilities for efficient and environmentally sound metal recovery, the report suggests facilitating exports of critical e-scrap fractions like circuit boards or btteries from smaller countries to OECD-level, certified end-processors. This is, friends, a big problem. Although we’re a gadget site, it’s become more and more clear that the vast majority of gadget makers aren’t ready to face this problem and are happy just to grab the nascent market share in these countries. We’ll try to stay on these companies in the news but please vote with your wallet, especially when organizations try to prevent recycling laws from passing in “developing countries” like New York City.